Dubai has undergone an enormous transformation in the last 20 years turning itself into a tourist hotspot with some of the World’s most iconic structures, buildings and designs. Large scale construction takes years of planning, hard work and technical ability, those involved in it such as Lisa Dudzik know exactly how high the standards must be and that there is no room for error. Dubai is home to some of engineerings greatest large scale construction feats and we want to take a look a few of its most impressive projects. 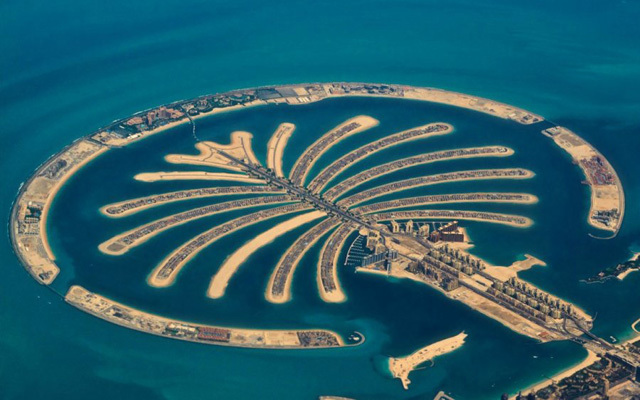 The 5km x 5km island that was built off the coast of Dubai is called The Palm and it is designed in the shape of a palm tree with a total of 16 offshoots and an 11km breakwater crescent at the top. The island was built using sand that was dredged from the Gulf Sea and sprayed into the formations needed for the palm shape. The intricacy of this design was incredibly high, each cubic meter of sand and rock had to be placed perfectly to maintain the shape of the palm whilst taking into consideration current changes in the water. The finished result is a unique and iconic project that can even be seen with the naked eye from space. Officially the World’s tallest man made structure, the Burj Khalifa stands 2,722ft tall with 157 usable floors and a total of 57 elevators that can travel at speeds of up to 70km per hour. When the government began the ‘Downtown Dubai’ project, an effort to give Dubai more status and a reputation as a luxury city, the Burj Khalifa was designed as the jewel in the crown of the project. The building took just over 5 years to complete and a total of 22 million man hours. The building is used as office space and has 900 homes inside it, at the top is a huge viewing platform that offers vistas of the whole city. The Burj al Arab is a hotel like no other, it is a 7 star hotel, the World’s first when it opened, that has an underwater restaurant and an incredible Skyview bar. The hotel’s structure has become iconic, with its sail like design that rises out of the Persian Gulf. At night, this incredible hotel is lit up with a kaleidoscope of colors and designs in an incredible light show. 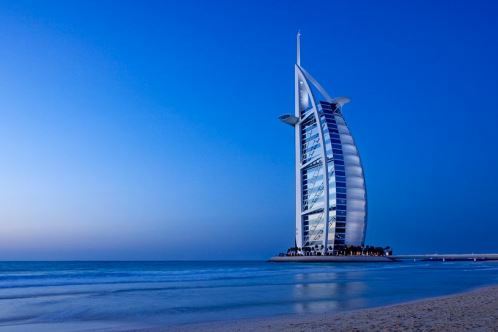 The Burj al Arab sits on the end of the aforementioned ‘Palm’ island and is the third highest hotel in the World. During the designing stage of the hotel the Dubai government said that they wanted an iconic structure like the Opera House in Sydney or Big Ben in London or the Eiffel Tower in Paris. Since the opening of the hotel the structure has become one of the most photographed landmarks in the World and in order to get a room at the hotel you currently would have to book 2 months in advance such is its popularity.